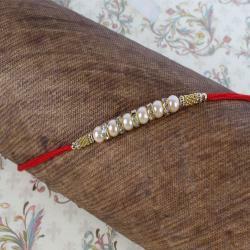 Product Consists: Stunning Tiny Pearl Beads Rakhi included with Colorful Rings nicely tied on a designer Card. 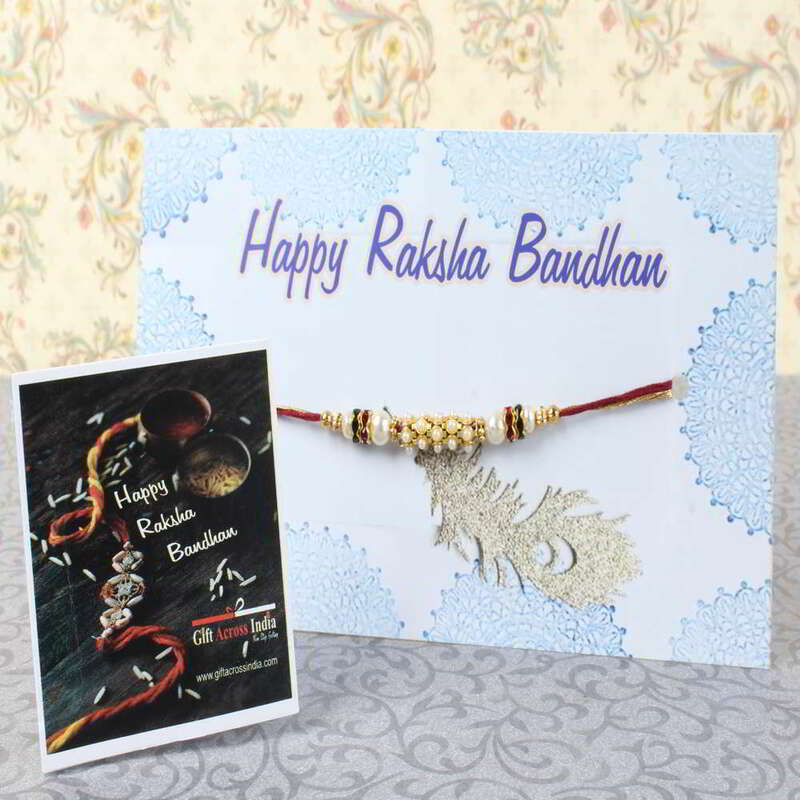 A special gift for your loved one on the eve of Raksha Bandhan to bless them with the best and your utmost love for them has a colorful beaded pearl Rakhi tied on a designer card made especially for the occasion with a feel on it. The tiny pearls embedded on the dial along with the colorful beads looks amazing and will embrace the wrist of your loved with your blessings. 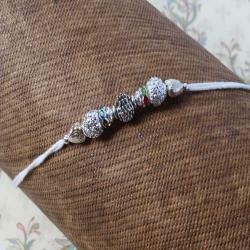 It has a matching thread which keeps the beads safe and secure and matches well with them. 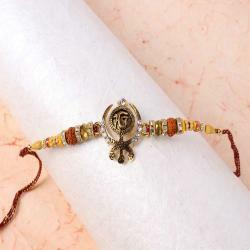 Make this special gift be part of your celebration and let it embrace its beauty on their wrist. 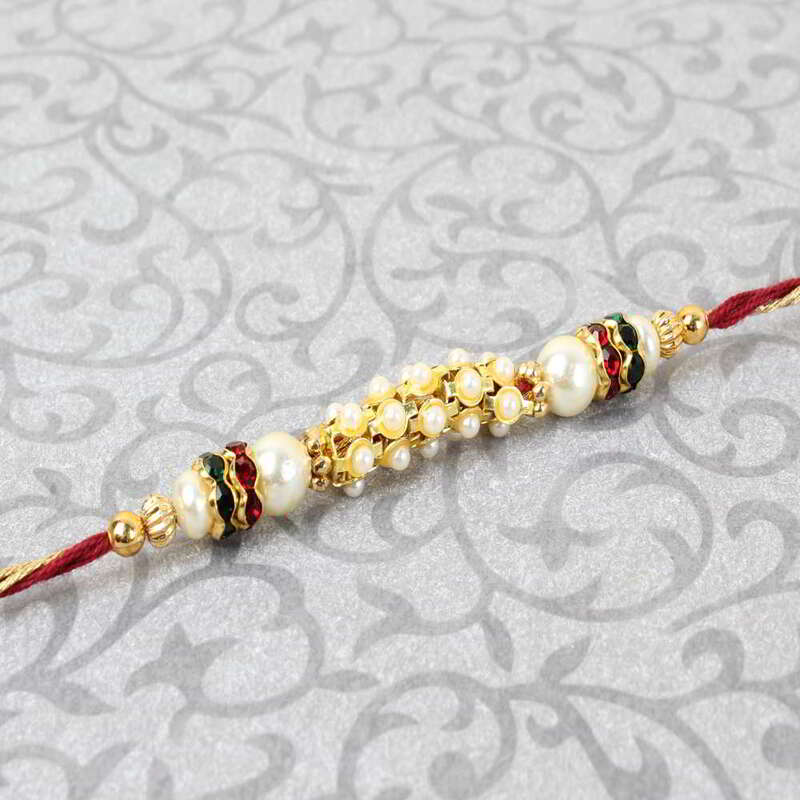 Product Consists: Stunning Tiny Pearl Beads Rakhi included with Colorful Rings nicely tied on a designer Card.